Havad Industrial Limited is a professional manufacturer and seller of various warning spheres, such as obstruction marking sphere and warning sphere. 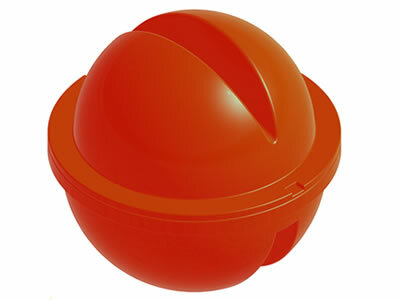 Warning spheres we produced has many colors, such as orange, red, white, white/red, white/orange. Sphere diameter can be 200-1300 mm. 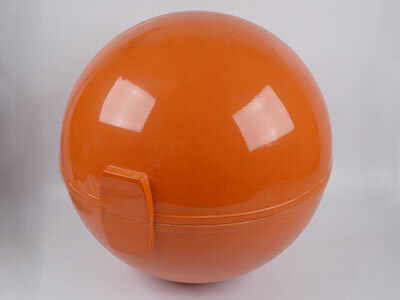 Obstruction marking sphere is made of FRP and has two clamp. 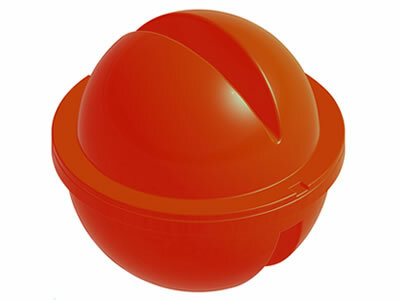 Warning sphere is made of polyethylene without metal fitting. Obstruction marking sphere with two clamps. Warning sphere with two slots. 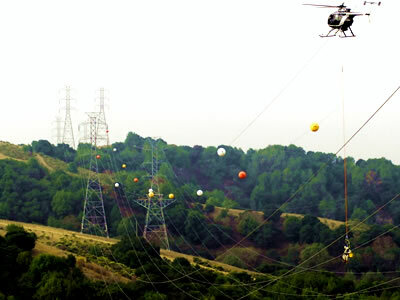 Marking sphere is installed on the highest wire. Why overhead wires should install warning sphere? Warning sphere is the landmark installed on high voltage overhead wires used for nighttime high voltage warning. It is the newest high voltage warning equipment, its performance keeps ahead level through national authority testing. It installs on overhead power lines directly, marked color make people and vehicles find the power lines early and take measures to prevent, further to decrease high voltage power lines safety accidents. Resistant to corrosion, rust, high temperature. Not influence the high voltage power lines. Adapt rain, snow, ice, oil and other environment. Over ten years service life. ICAO Annex 14, 6th Edition, July 2013. Annex 14 to the Convention on International Civil Aviation. FAA AC 70/7460-1L, obstruction Marking and Lighting. Date Issued: December 04, 2015. Description: This Advisory Circular (AC) sets forth standards for marking and lighting obstructions that have been deemed to be a hazard to navigable airspace. The spacing between two consecutive marking spheres or between a marking sphere and a supporting tower should be appropriate to the diameter of the marking sphere. The maximum spacing is 30 m with sphere's diameter is 600 mm. The maximum spacing is 35 m with sphere's diameter is 800 mm. The maximum spacing is 45 m with sphere's diameter is 1300 mm. If multiple wires or cables are involved, marking sphere should be located in the highest wire. When installed, different colors' marking spheres should be displayed alternately. The color selected should contrast with the background to ensure marking spheres will be seen clearly. 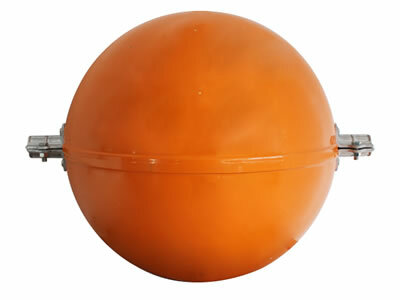 Obstruction marking spheres should alternate aviation orange, white, yellow, with aviation orange markers positioned at each end. If less than four markers are on the line, all markers should be aviation orange. Obstruction marking sphere is used in overhead conductor, high-rise transmission lines to warn pilot which can resistant to UV and ozone. Warning sphere is used in cross river, road, bridge power transmission line which without metal fittings, can resistant to corrosion, rust, water. Warning spheres are manufactured with bright colors (aviation white, aviation red, aviation white), so they are used to warn aircraft pilots in day and night. FAA is a national aviation authority of the United States and its regulations are widely used. We introduce the regulations about marking sphere. ICAO is a specialized agency of the United Nations. Some principles about marking sphere are excerpted from sixth edition. Havad Industrial Limited provides customers robust and economical obstruction marking sphere and warning sphere. They can warn pilots of the wires in the high altitude. They can resistant to weather, high temperature, water, dust. We are glad to cooperate with every friend all over the world. No. 135, Yongan Road, Zaoqiang County, Hebei Province, China.